The size of the global Gems and Jewelry industry was estimated at US $ 146 billion at retail prices in 2005, and is estimated to have recorded US $ 170 billion in sales in 2008. The industry has grown at an average Compounded Annual Growth Rate (CAGR) of 5.2% since 2000. India is one of the eight key world markets, the others being the USA, UK, Middle East, Turkey, Japan, Italy and China. India is the also the largest consumer of gold in the world, and is estimated to hold nearly 16,000 tonnes of gold, accounting for nearly 12-15% of the worldâ€™s cumulative â€˜abovegroundâ€™ gold stocks. India is also the largest diamond cutting and polishing center in the world. While a predominant portion of gold jewelry manufactured in India is for domestic consumption, a significant portion of rough, uncut diamonds processed in the form of either polished diamonds or finished diamond jewelry is exported. The manufacturing and processing of Gems and Jewelry is distributed across several countries in the world (i.e., the African continent dominates the mining space of diamonds whereas India is the dominant player in diamond processing). Apart from being a major market, India primarily forms a part of the polishing and jewelry manufacturing part of the industryâ€™s value chain in addition to increasing traction in the organized retail of jewelry. The domestic demand for gold jewelry was estimated at Rs. 550 billion in 2007, accounting for an estimated 80% of the Indian jewelry market of Rs. 690 billion; the balance comprised of diamond jewelry (Rs. 115 billion), and other fabricated jewelry (Rs. 25 billion). The industry is characterized by highly unorganized trade, labour intensive operations, working capital and raw material intensiveness, price volatility of gold and export orientation. Though India plays a dominant role in the Gems and Jewelry industry in terms of processing and consumption, its role in the mining of gold and diamond is minimal. India imports gold and rough diamonds along with other precious metals. The Gems and Jewelry industry also plays a key role in the Indian economy, and commands a high percentage of the exports from the country. In 2008, Gems and Jewelry exports accounted for about 12% of Indiaâ€™s total exports. The growth of exports between 2002-03 and 2007-08 was about 14% amounting to Rs. 837 billion in 2008. NSDC is a first-of-its-kind Public Private Partnership (PPP) in India set up to facilitate the development and upgrading of the skills of the growing Indian workforce through skill training programs. 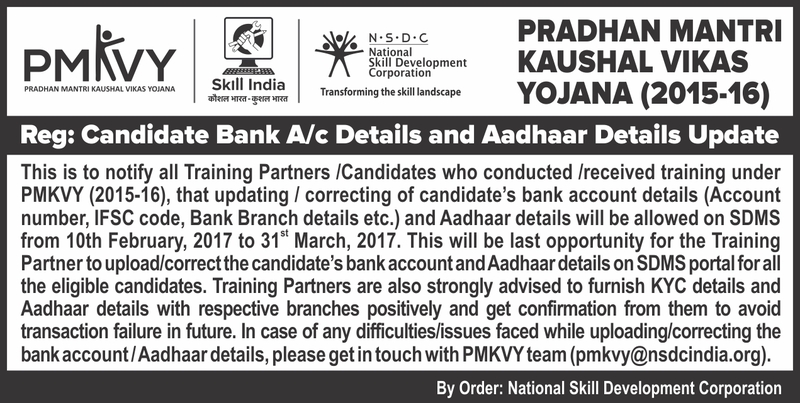 A large part of the organizationâ€™s efforts are directed and towards developing the skills in the unorganized sector in India. 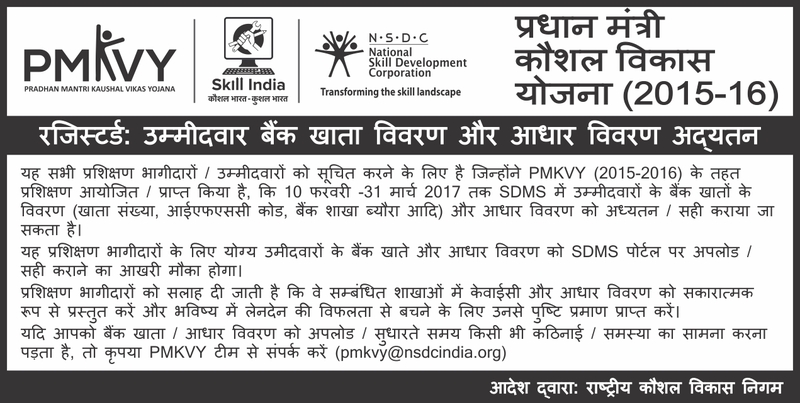 NSDC supports skill development efforts, in India by funding skill training and development program. Developing design concepts at different price points by assessing market trends for practical and fashionable designs. Segregating polished diamonds into groups having similar characteristics based on the 4 Cs, by looking at the diamonds through a tripod under adequate light. Providing a clean, shining and finished jewellery at different stages of its making. Managing several sales counters of similar product categories and having the responsibility for: generating sales, managing performance of human resources working at the counters and managing the store alongside the Store Manage. Engaging with the customers, understanding the needs of the customer, explaining the offerings of the store and assisting them in choosing jewellery according to their requirement. Also, managing multiple sales counters of diverse product category and take customized jewellery orders.